Left foot forward (a journey into reenactment): Wrong Footed. Brogans. These are shoes called Brogans... 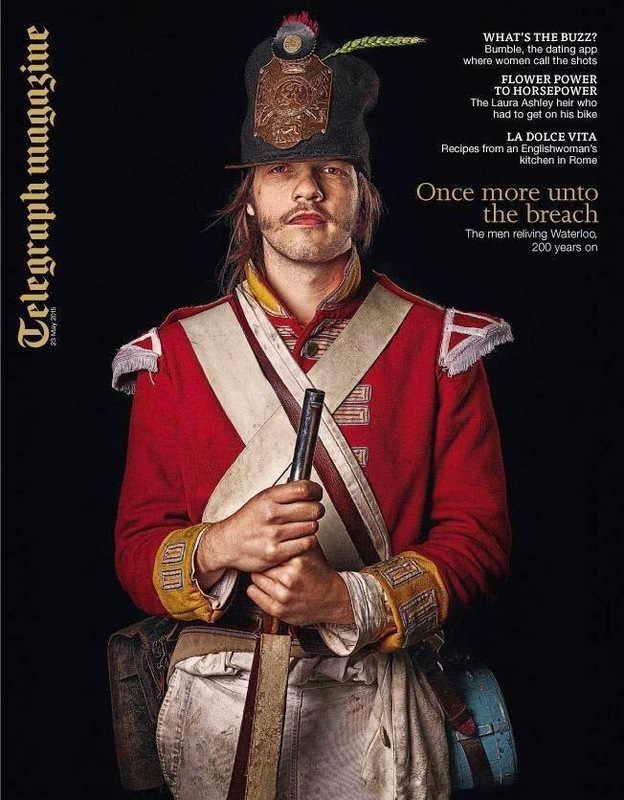 I assumed they were good for Napoleonic reenactment because of the number of stores that have them in the 'Napoleonic' section and because I'd never seen anything to contradict this, they existed and were worn before and after the period. 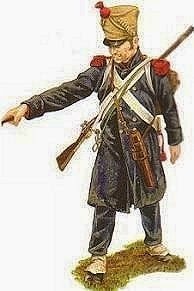 The other day someone advertised selling them on a Napoleonic facebook page.. quite a discussion blew up, because they were not officially issued at the time. 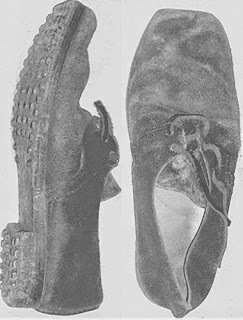 The shoes below are a surviving pair of soldiers shoes. If you also imagine the whole laces-area is covered up by wearing gaiters.. One set are black, square toed and rough-side out, the other are black, square toed and rough-side out. Still you can still really see the difference. Can't you? 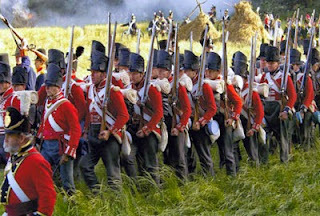 As another example of actual practicality in the real world of 1809 there are so many accounts of forced marches and retreats that broken shoes, cloth swathed feet, and taking shoes/boots of any available body are commonly mentioned. In the memoirs of Rifleman Harris he makes many remarks about being called on to make or repair shoes on the march, himself being a cobbler by trade, that parade ground uniformity in shoes would be rare once on campaign. When I remarked that I couldn't really see any difference between brogans and the square toed shoes I was informed Brogans were 'Too high'. Too high.. at the top? at the heel? Because either way that part is obscurred by the gaiters or the grass/ground/angle of the person wearing them.. unless you really, really try to get close and to one side, slightly behind the wearer, in a good light. Spot the ever-so-slightly-not-100%-accurate footwear in that one! and this guy? illustrating how much his white gaiters cover, what is he wearing? in most pictures and on wargames models shoes are basically just a blob, they are basically a vaguely foot sized black shape. 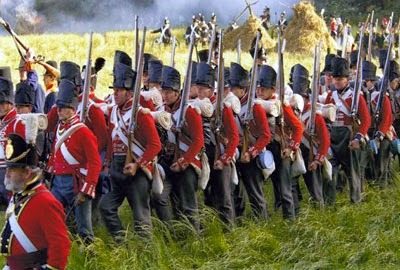 Some of the worst moaners are ex-army types who seem to think the same levels of military discipline and exacting standards should apply in the hobby (a hobby as in something done for enjoyment) and also apply to peoples hair and beards, if they have them, you might only be at events 3 weekends a year but the beard you like having in the real world for the other 359 days must go! King's regulations, or you are simply not taking things seriously. I DON'T CARE (and maybe throw my shoes at them).